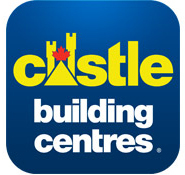 Docks & Decks Unlimited Inc. can construct any deck to suit your needs or wants. Our 25 plus years of experience in the design and construction of custom decks ensures you a quality built, long lasting deck. From simple on ground designs to large multi-level decks, Docks & Decks Unlimited Inc. ensures you quality craftsmanship and superior service. Let us help you with your deck design and construction. 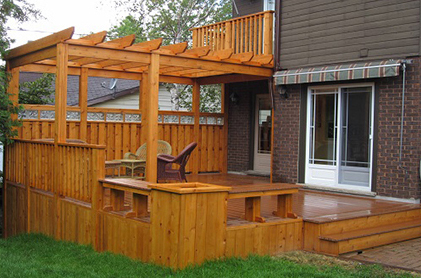 We can help you build a deck that will exceed your expectations but not your budget. Whether you choose to build a basic or custom deck, we can help develop a deck plan that will compliment your home and the existing features of your yard. Docks & Decks Unlimited Inc. is a licensed and insured deck builder who you can trust to get the job done right. All Decking Products and Lumber including Composite Decking, Cedar, Spruce and Pressure Treated as well as Aluminum Railings are available for the do it yourselfer.